There is now a look-back period of 36 months when applying for needs-based pension benefits for wartime Veterans or for the surviving spouses and dependent children of wartime Veterans. Any asset that was transferred for less than fair market value during the 36-month period immediately preceding the pension application will result in a penalty period, not to exceed five years. With regard to an annuity, if the annuity can be liquidated, then it is counted as an asset. If the annuity cannot be liquidated, then distributions from the annuity is considered income. If the annuity was purchased during the look-back period, then a penalty will be imposed. There is now a bright-line rule regarding the net worth of a Veteran. This amount is currently set at $123,600.00, which is also the maximum Community Spouse Resource Allowance amount allowed by Medicaid. This number will increase annually with the increase in Social Security benefits. If the Veteran or other claimant has a net worth over the threshold and thus does not qualify for benefits, he or she can spend-down assets by purchasing goods or services for fair market value. These two changes have broken from the historical rules of no look-back period and no set asset limit. The complete set of new rules, including the above, will go into effect on October 18, 2018. So, any assets transferred before this date will not be subject to the 36 month look-back period. Nor will the asset limit be applicable. Because of this, it is extremely important to pursue VA pension planning before October 18, 2018. 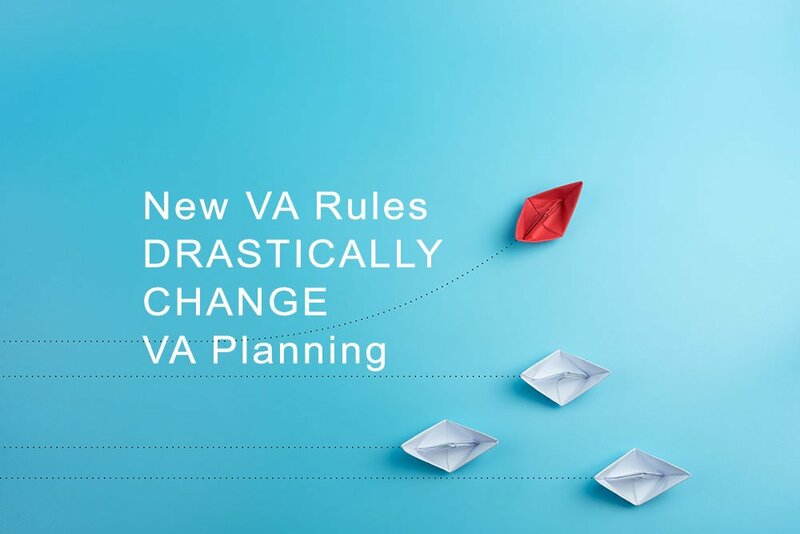 Because this is such an important topic, we want to help all attorneys understand what this means for VA pension planning. Download this whitepaper for a comprehensive review of the rules.